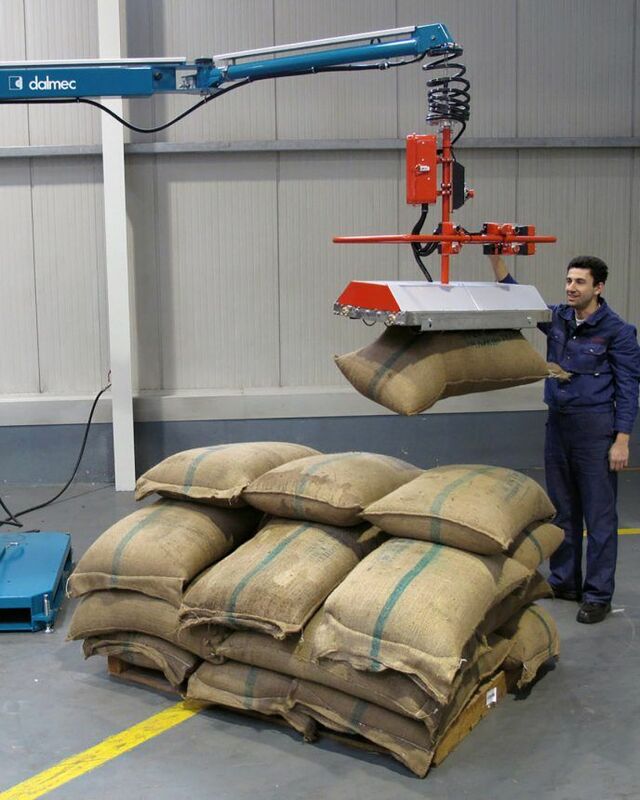 Cable balancer equipped with pneumatically actuated grippers, for handling jute bags containing coffee, cocoa and similar products. The manipulator is provided with portable base-plate for forklift or pallet truck, allowing a rapid movement to many different workplaces. To obtain the vacuum to perform the gripping of the bag is normally used an electric vacuum generator or an ejector Venturi. Hundreds of Dalmec manipulators are used for handling bags and rubber bales in the leading industries all over the world. Our manipulators are equipped with different types of gripping devices which are able to lift, rotate, tilt reels of all sizes and materials with a weight from 5 Kg to 900 Kg. 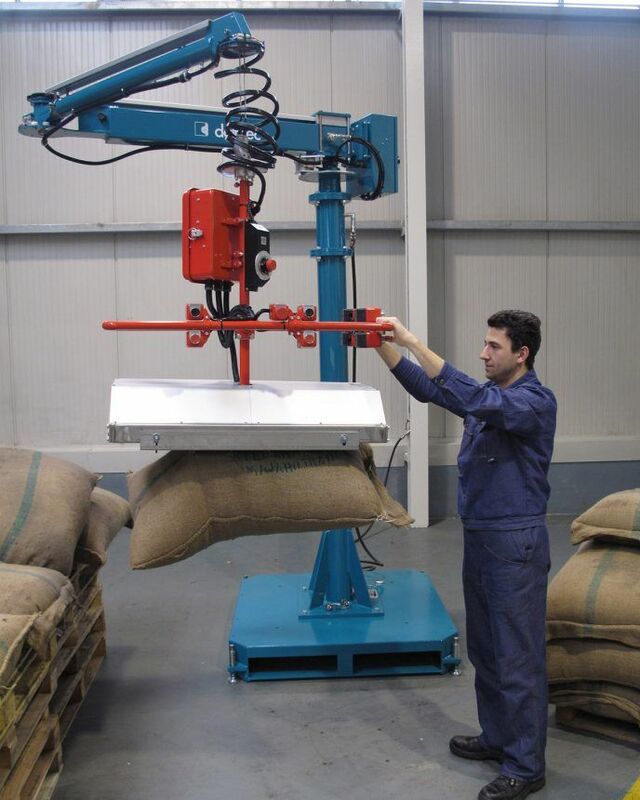 Our ergonomic handling devices, enable you to lift and handle your products with the upmost precision. 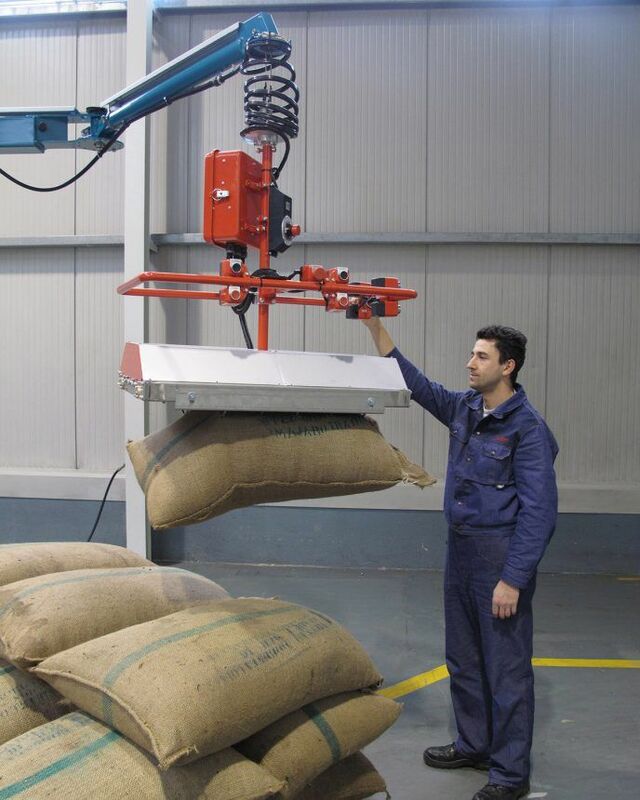 Cable balancer for bags equipped with pneumatically actuated grippers, for handling jute bags containing food products such as coffee and cocoa.